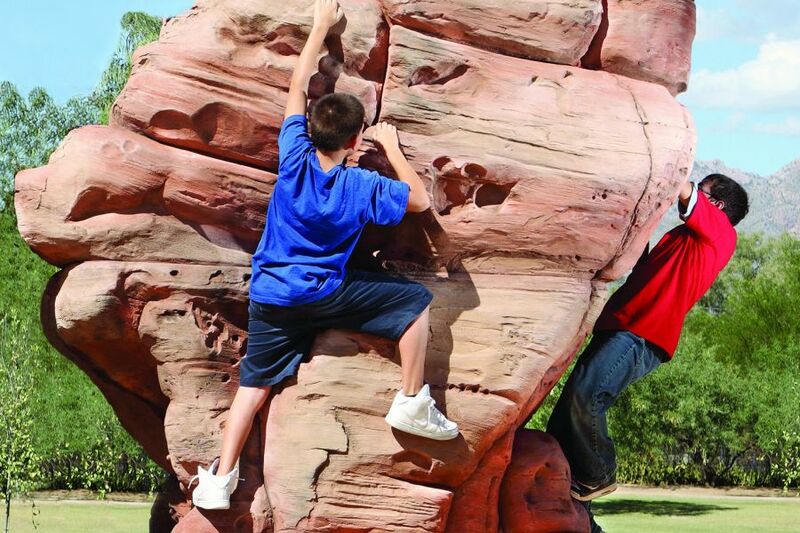 The large sandstone boulder boasts a stunning height of 8 feet giving children ages 5-12 a unique and authentic climbing challenge. 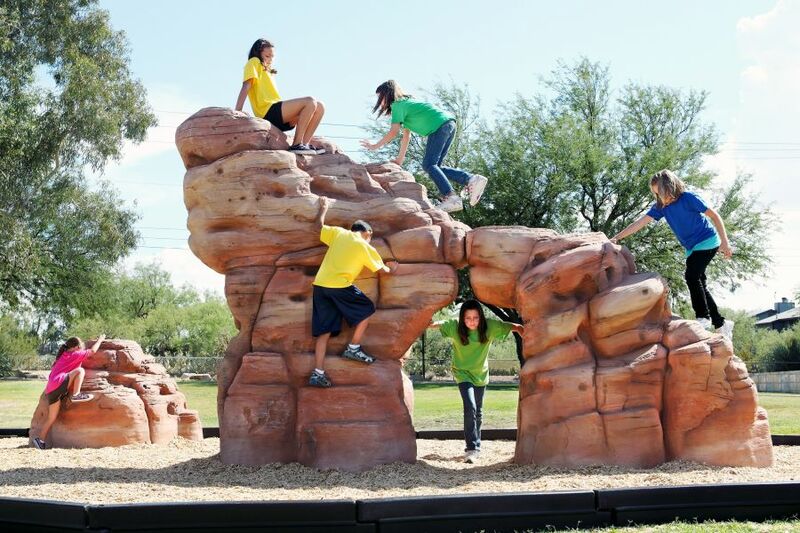 The ample size of this rock climber allows up to 8 children to play together as they creatively scale the boulder. 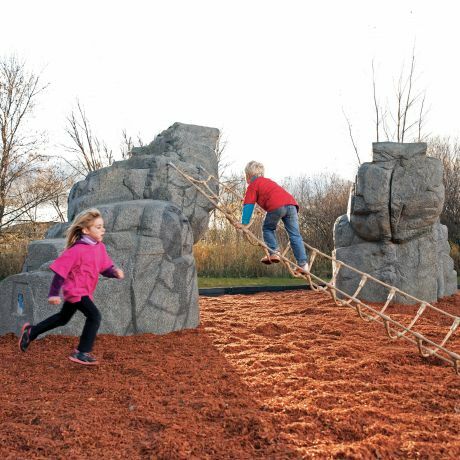 Consider combining large and medium playground boulders to create an arch to add even more rock climbing and active play opportunities. The NatureROCKS sandstone boulders are artfully designed from real rock outcroppings and hand painted to look and feel like sandstone. 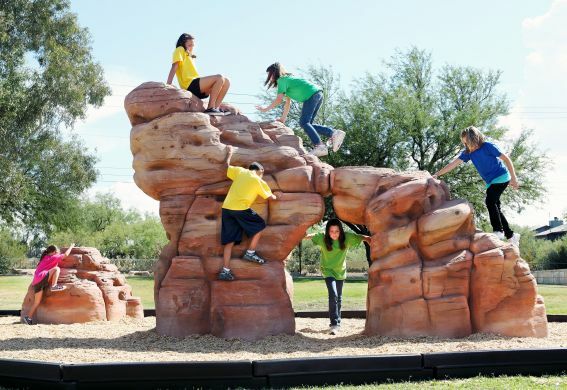 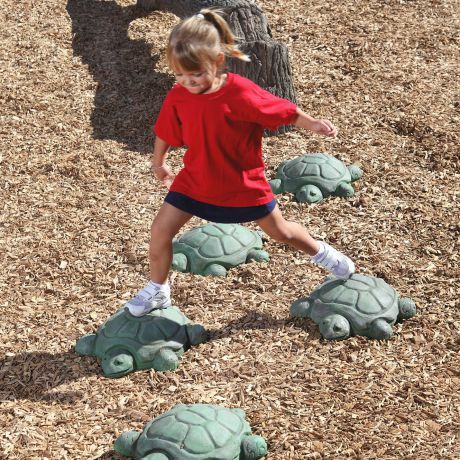 Each playground boulder is constructed of durable, weatherproof glass fiber reinforced concrete (GFRC). 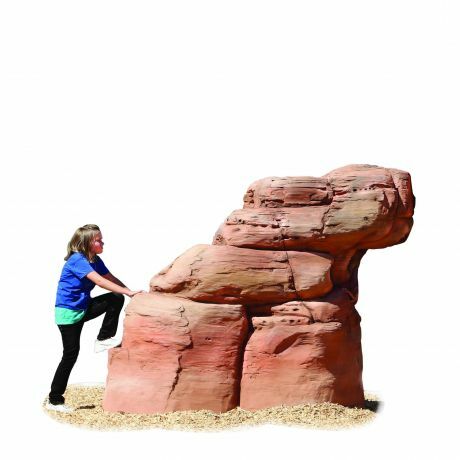 All boulders also feature built-in forklift channels to easily facilitate delivery and placement.